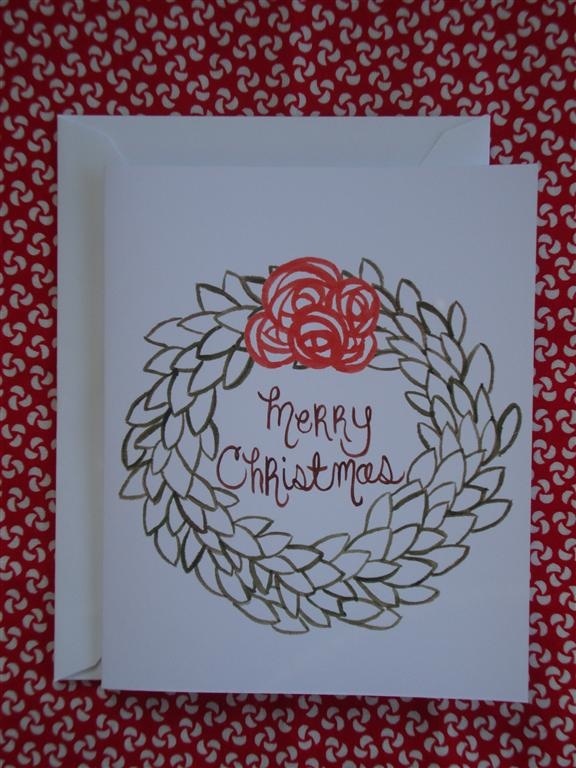 I am so excited to bring back Paperly to the Homespun Chic Holiday Marketplace! Since I was a little girl, I’ve been passionate about all things paper. Yep, I was the girl who had dozens of different writing paper and note cards – my stationery was an extention of my wardrobe! While I may have grown older, my passion for fantastic stationery designs hasn’t changed and Paperly helps me share my passion with others. Paperly offers a wide variety of designs – fun or formal, feminine or masculine, sassy or kid-friendly – to express just the right sentiment. And we are much more than just paper…our personalized gifts are perfect for any occasion. Holidays, Family and Friends, Teachers, Coaches…whatever your need, I can help you find the perfect unique and memorable gift! If you could learn to do anything, what would it be? 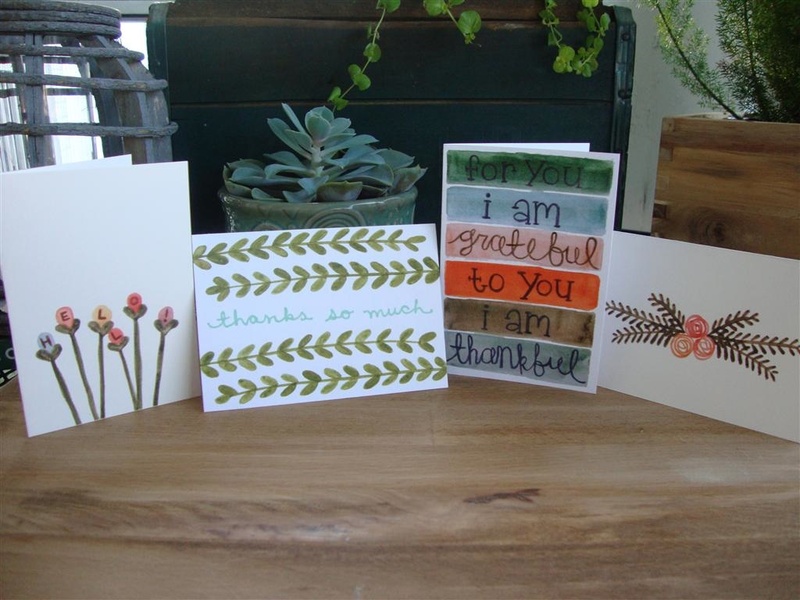 I would love to learn to use one of the Cricut paper cutting products. I am enamored with all the cool projects you can do with this machine. It is on my Christmas wish list! What are you most looking forward to about the Homespun Chic Holiday Marketplace? Bringing back Paperly’s fantastic products – of course I’ll have our traditional favorites and some new surprises that customers will love! 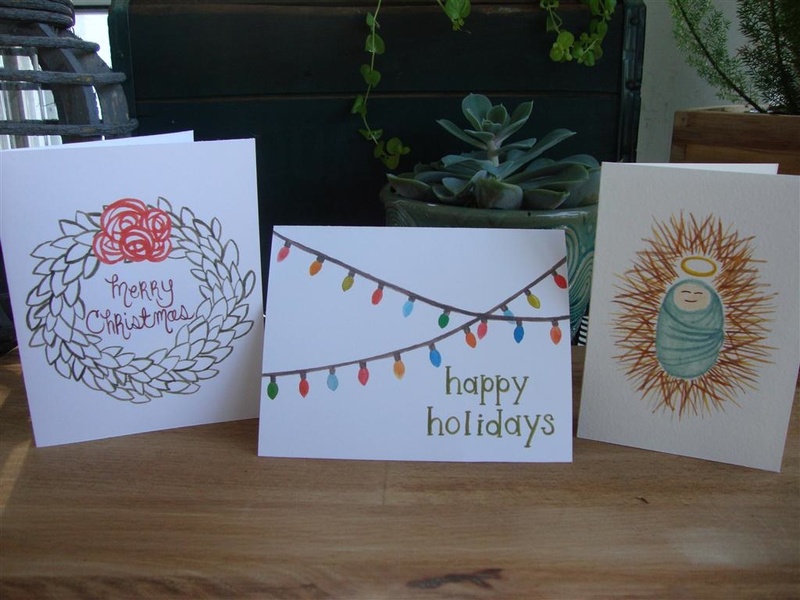 Visit Paperly and see what you have to look forward to at the Homespun Chic Holiday Marketplace on Sunday, December 9. Delightful designs & fresh textile applications – fabrics, papers and trims – are the trademark of my work I individually design and handcraft every item in my sunny and smoke free home studio, and am inspired to create fresh designs on an on-going basis. 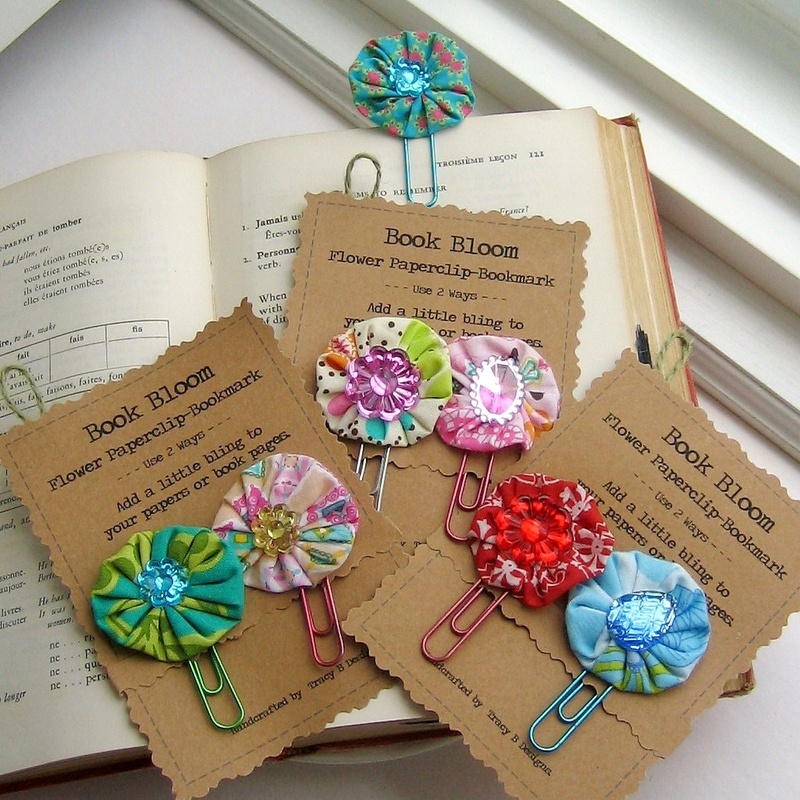 Many of my items feature re-purposed materials and I love the theme of Flowers in Boom. My items are sold locally year-round through Artistree in College Park and the Florida Craftsmen in St. Petersburg. I also have an on-line shop at tracyBdesigns.etsy.com. I encourage feedback from friends and customers, and take great pleasure in creating delightful art-cessories for individuals and homes. What are you most looking forward to about the Spring Homespun Chic Marketplace? 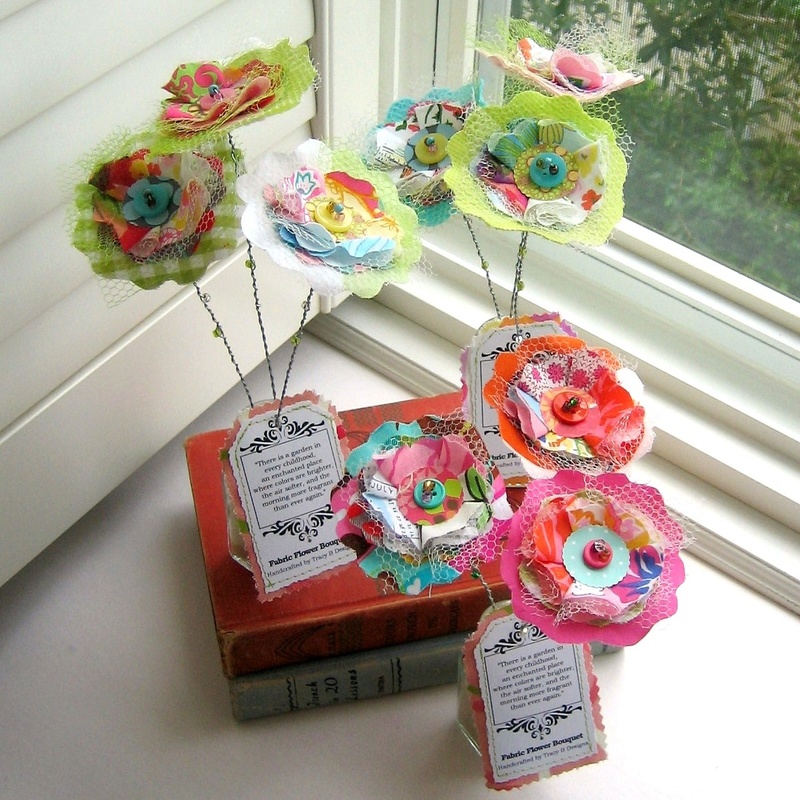 Having a fun-filled day of meeting new people, mingling with others and welcoming Spring in a creative way! What’s your favorite thing about summer in Florida? Being able to head to the beach for a relaxing week — a week with no computers, no schedule and no major decisions. The only decision to make is shall we go to the pool or to the beach ? 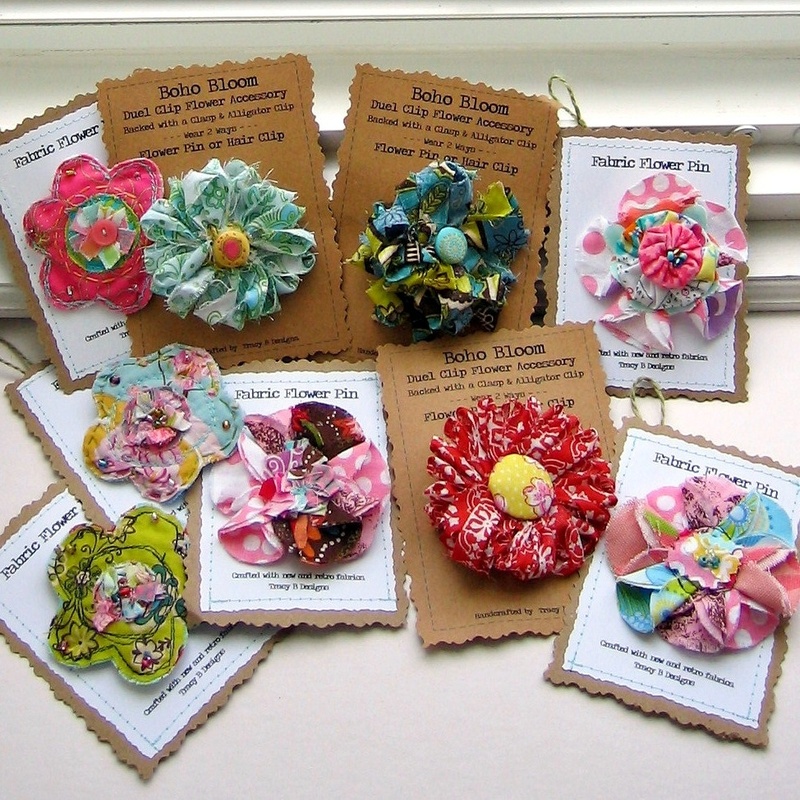 Visit Tracy B Designs and see what you have to look forward to at the Spring Homespun Chic Marketplace on Sunday, May 6. Hello there! I’m Anna Pryor and I can’t wait to meet you at the Homespun Holiday Market! I’m thankful for sunshine, my husband, and my family. I’m inspired by anything that makes me smile – and I find that there’s a whole lot to smile about! My shop features stationary and paper goods of my hand-painted watercolor illustrations. I think mailing someone a thoughtful handwritten letter is one of the warmest and kindest ways of showing how much you care. 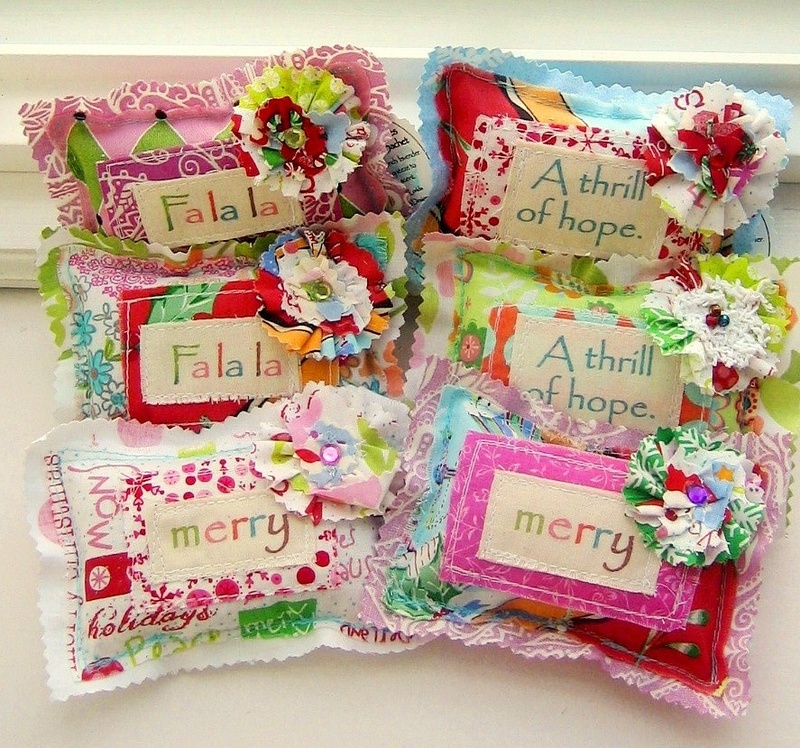 Also this holiday I’ll be featuring some other items that make wonderful gifts! Fish print note pads make a great gift for fathers and uncles and I’ll have some lovely lavender filled sachets for the ladies! What’s the #1 song played on your iPod? Anything acoustic… currently can’t get enough of Josh Ritter or The Avett Brothers. Besides crafting, what are other things you like to do? I love to garden! Weeding, pruning and planting soothes my soul to no end! Gardening also inspires a lot of my illustrations. I love painting flowers and foliage. What’s your favorite Christmas tradition? My husband and I buy unique assorted beers and wrap them up in brown bags. On Christmas day after lunch we pass them out to everyone and the whole family gathers around the fire to enjoy new brew flavors. Drink and be merry right? Grown up Christmas is fun! Visit Yours Truly and see what you have to look forward to at the Fall Homespun Chic Marketplace on Sunday, December 4. Love what you see? Click the links next to “Share This” below and let your friends on Facebook and Twitter know. Then, come enter to win a $20 Gift Certificate to be used at the Marketplace. 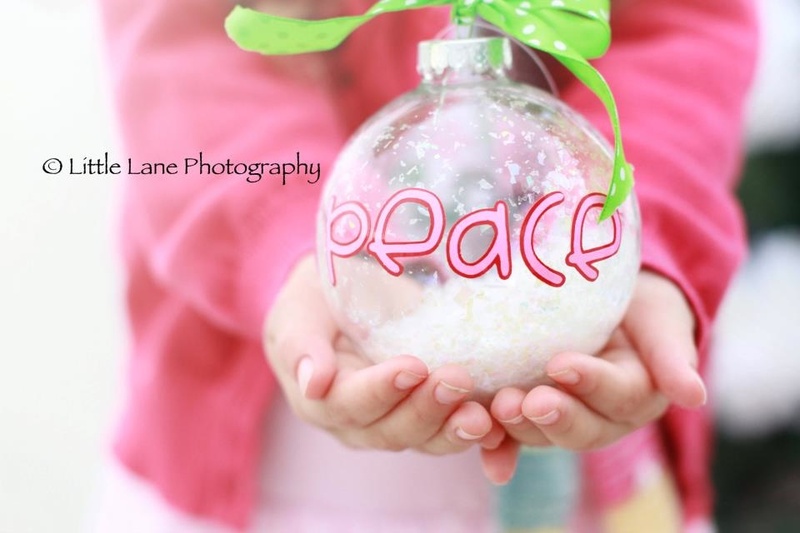 Oh My Friend is your go to place for adorable personalized Christmas ornaments. 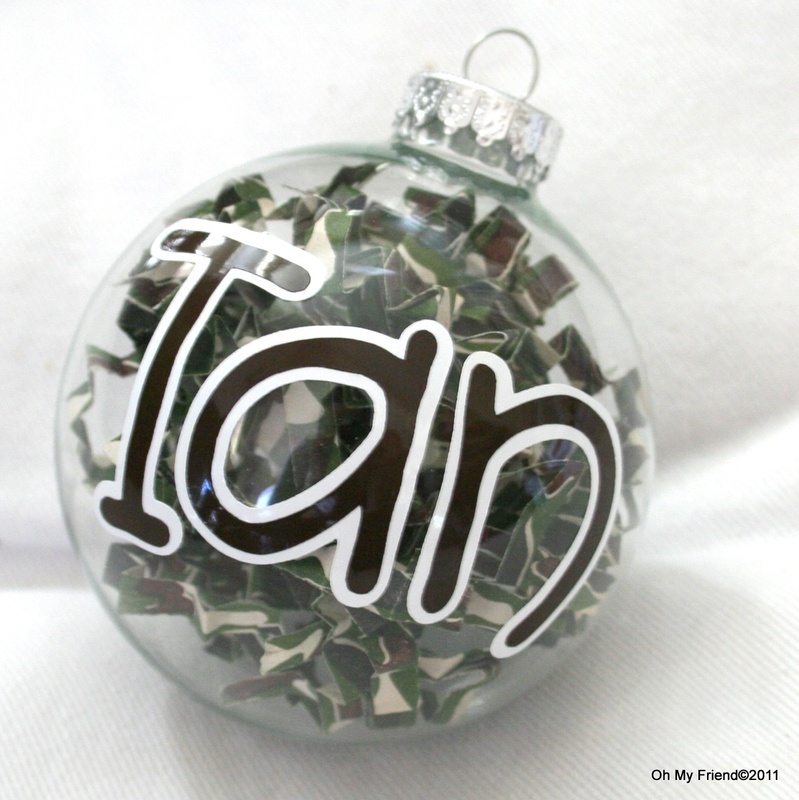 You can design a custom & unique ornament for each person on your list. 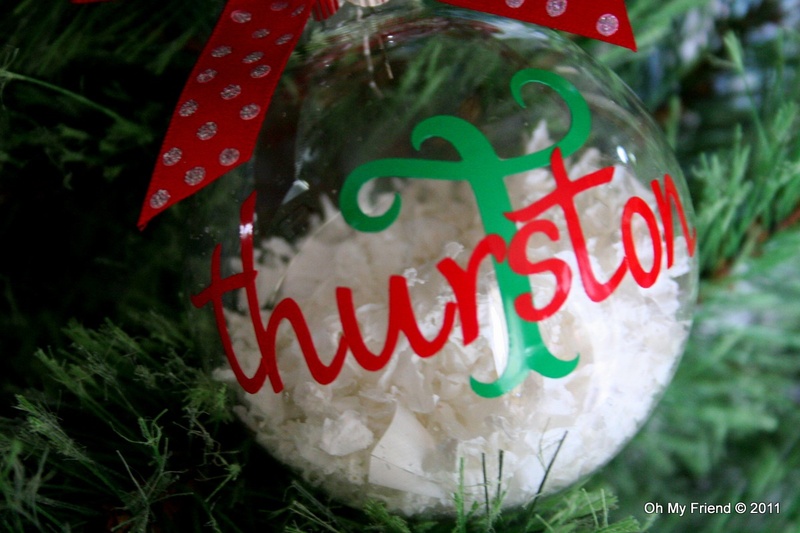 Our ornaments are glass with vinyl lettering that can be made in a wide variety of colors, stuffings & ribbon bows. As a 3rd grade teacher & a mother of two, I’m always on the look out for great gift ideas for my friends, co workers & family. 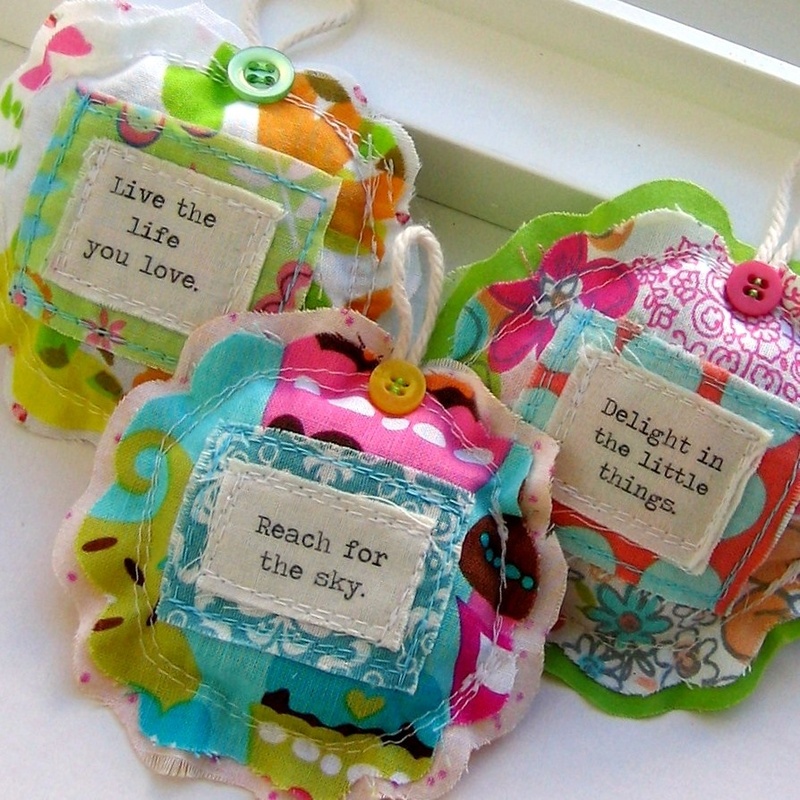 My ornaments are practical, reasonably priced & suit all styles & ages. I thank God for the ability to create & design in addition to teaching His children. If you had to only work on one project for the next year, what would it be? Teaching my children to be obedient to God. What’s your favorite holiday beverage at Starbucks? (And, are you a fan of the red cups?!) I don’t care what color cup its in, just make it a Pumpkin Spice cream frappaccino with java chips. What’s your favorite crafting snack? Sweet & salt. Visit Oh My Friend and see what you have to look forward to at the Fall Homespun Chic Marketplace on Sunday, December 4. 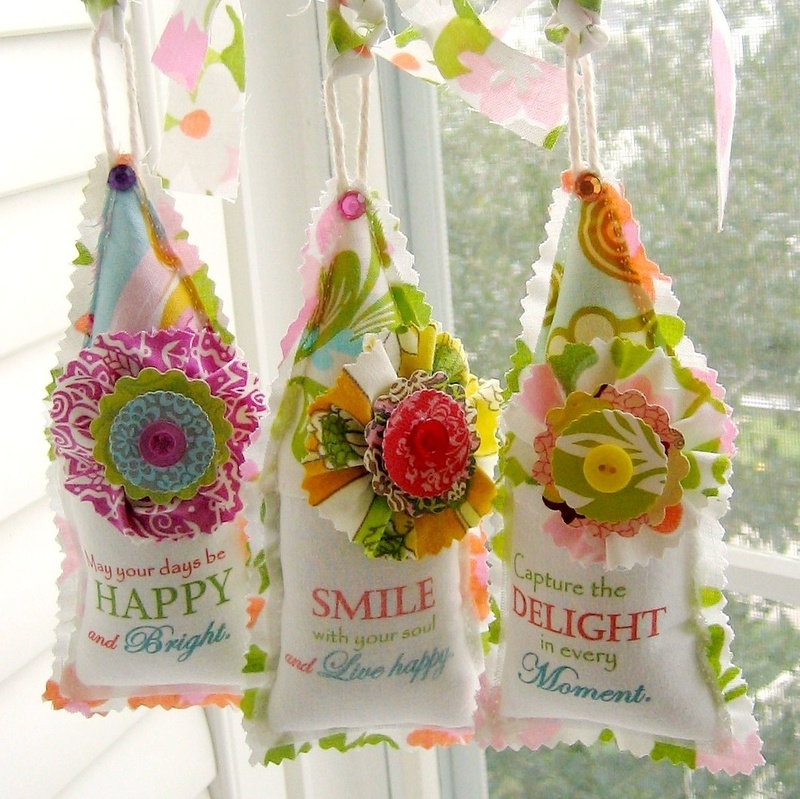 Delightful designs & fresh textile applications – fabrics, papers and trims – are the trademark of my work I individually design and handcraft every item in my sunny and smoke free home studio, and am inspired to create fresh designs on an on-going basis. My items are sold locally year-round through Artistree in College Park and the Florida Craftsmen in St. Petersburg. I also have an on-line shop at tracyBdesigns.etsy.com. I’m thrilled to have been selected by Better Homes and Gardens, for two consecutive years, and have a few of my Holiday Ornaments featured in their current special publication “Holiday Crafts” – on sale at newsstands now! What are you most looking forward to about the Homespun Chic Holiday Marketplace? Having a fun-filled day of meeting new people, mingling with others and really getting into the Holiday Spirit! If you could learn to do anything, what would it be? Two things: I would love to learn how to sing well. I love music, but unfortunately was not blessed with a great singing voice. And, secondly, I’d like to learn to speak French. We’ve travelled to France several times, one of my favorite destinations, and to speak the French language would be a true gift. Visit Tracy B Designs and see what you have to look forward to at the Homespun Chic Holiday Marketplace on Sunday, December 4.